The Simien Mountains massif is one of the major highlands of Africa, rising to the highest point in Ethiopia, Ras Dejen (aka Ras Dashen) 4620m, which is the fourth highest peak on the continent. The park was formed mainly to protect the Waliya Ibex, a type of indigenous wild goat. Approximately over a thousand Waliya Ibex are said to live in the sanctuary of the park. 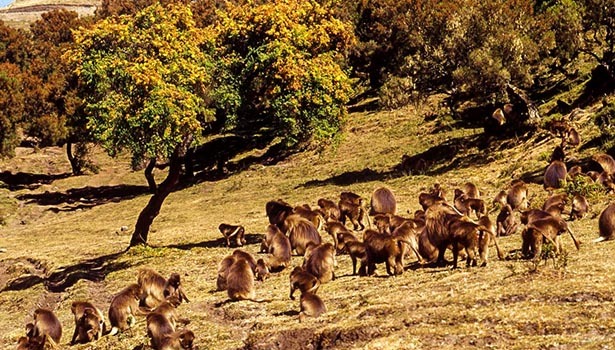 The park is also home to Gelada Baboons and the illusive Simien fox. The Simien fox, although named after the mountains, is rarely seen by visitors. It is reported that over 50 species of birds are found in the park. The national park has three botanical regions, the lower slopes, the alpine region and the higher lands. The lower slopes have been cultivated and grazed, while the alpine regions (up to 3600m) were forested, although much has now disappeared. The higher lands are mountain grasslands with fescue grasses as well as heathers, splendid Red Hot Pokers and Giant Lobelia. A natural event which took place millions of years ago created an extraordinary landscape, deep gorges and peaks providing the Semien Mountains the most magnificent view ideal for trekking. Here it is possible to trek for several days encountering Gelada Baboons, Waliya Ibex, an assortment of birds and if lucky the illusive Semien fox. 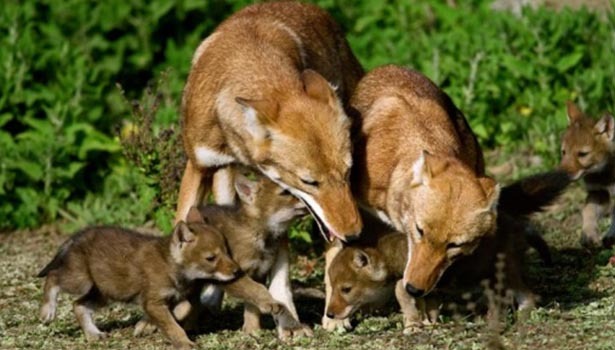 The Bale Mountains, which lie over 2,400 Square kilometers, is a home for various flora and fauna species. 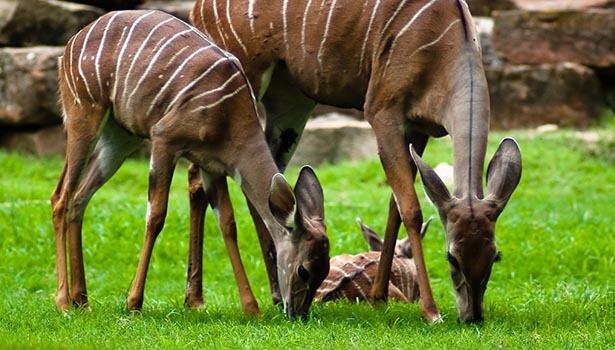 The park which comprises of riverine plains, woodlands and bush lands, is a home for several endemic species like Mountain Nyala and Semien fox. The park is believed to be established to protect these two animals. The second highest peak in Ethiopia, Tullu Dimtuu, with a peak of 4,377 meter above sea level, is located in the park. The forest is also home to different pig species, lions, leopards, spotted hyenas, African hunting dogs and many others. More over the Bale Mountains is home to 16 endemic bird species. The park is among the most suitable walking areas in the country with a chance to see several endemic and common species at a close distance. The park is found in the lowlands to the east, 211 Kms from the capital. With total area of 827 square kilometers, it’s bounded with Awash River in the south. The Fantale volcano, where one can see the dark scar of the latest lava flow, is among the main features of the park. The plains of the park are excellent for game viewing and admiring the spectacular Awash Gorge. Mago National Park, which is home for a wide range of people, is found on the east bank of the Omo River. 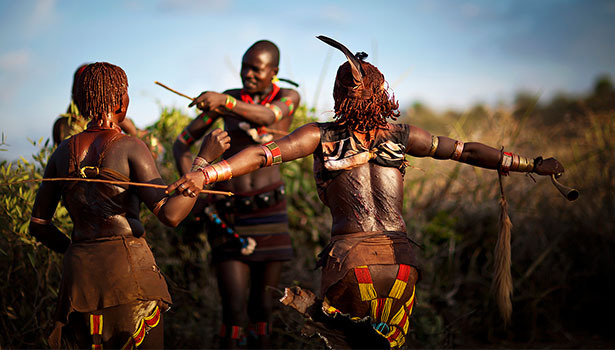 The park was established in 1979 and with a total area of 2162 square kilometers, it is the place where the most fascinating tribes including the Mursi, Karo, Banna, Hammer, Bodi and Dizi still live in the most primitive way. The park mainly consist of grasslands with some forest areas located around the rivers. Many animals can be found in the Mago National Park. Some of the common ones are the buffalo, cheetah, elephant, giraffe, hartebeest, leopard, lion and zebra. Bird species are also prevalent in Mago, with the rare Turdoides tenebrosus (Dusky Babbler) being found at Lake Dipa. It's found in the West bank of the Omo River which runs along the Sudan border. The park is home for several wild animals. The park provides an opportunity for trekking where one can visit the Suma people, who are almost similar with Mursi where the women wear a clay disk on their lip. 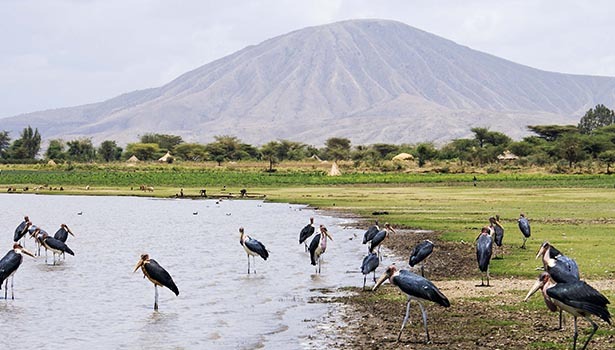 With total area of 5, 061 square kilometers, the Gambela National park is located 850 km west of Addis Ababa. 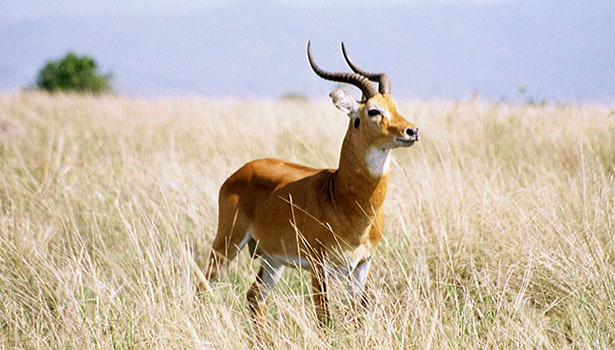 The Gambela Park was established primarily to protect two species of endangered wetland antelopes: the White-eared Kob and the Nile Lechwe. Other wildlife reported as living here include populations of elephant, lion, tiang, Lelwel Hartebeest, olive baboon, and guereza monkey. Several birds only found in this area include the shoebill stork, the Long-tailed Paradise Whydah and the Red-throated and Green Bee-eaters. 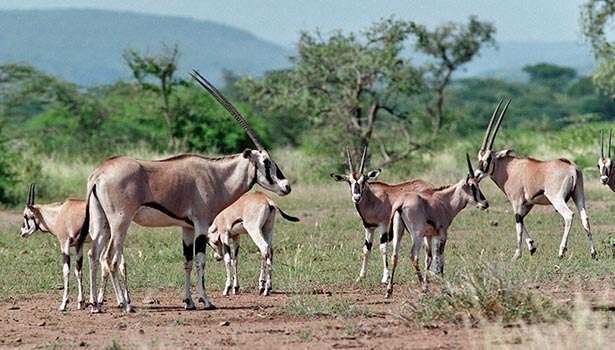 The park is also famous for whale-headed stork, roan antelope, topi, African Buffalo and giraffe. Ethiopia has several amazing geographical features and the Great Rift Valley is among the stunning ones. The Rift Valley which is more than 9000 km long and stretching from Jordan to Mozambique was created by the rifting of the great continental masses of Africa and Arabia In the southern part of Ethiopian Highlands where the Rift Valley splits into two, we find a giant tear of the earth’s surface linked with chain of Lakes. This region also boosts several National parks and forests which are among the last natural ones left in the world. The south is also home to the Dorze people, where the Old Dorze village of Chencha glimpses the ancient Ethiopia in their beehive shaped houses made from bamboo and the leaves of enset, false banana. Moreover, the Dorze people are famous through out the country for their unique weavings. The land offers a unique unpolluted culture, ceremonies, incredible life styles, astounding sceneries where views vary from one tribe to the other.